Three hurricanes have hit our beloved communities of Houston, Florida, and Puerto Rico over the past month and a half. We know so many of you were either directly impacted by one of these natural occurrences or have friends and family that have experienced lose because of the hurricanes. Our hearts have been heavy for you, your loved ones and your communities. 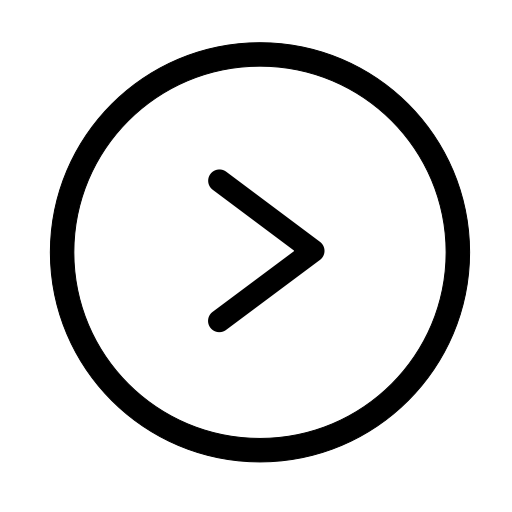 Here are at Urban Strategies, we have been working to respond and support you and your community by determining what is needed in each community to mobilize resources to respond.  This has taken us from working on emergency relief distribution to now focusing on mold remediation. 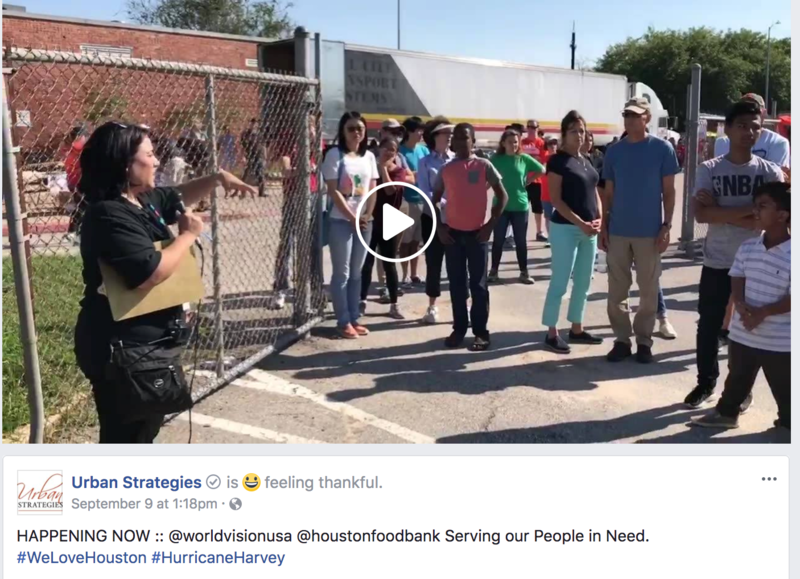 Urban Strategies worked with World Vision USA to get eleven 58 ft trucks full of emergency supplies to Houston and Cutler Bay, Florida to support families and individuals in need. 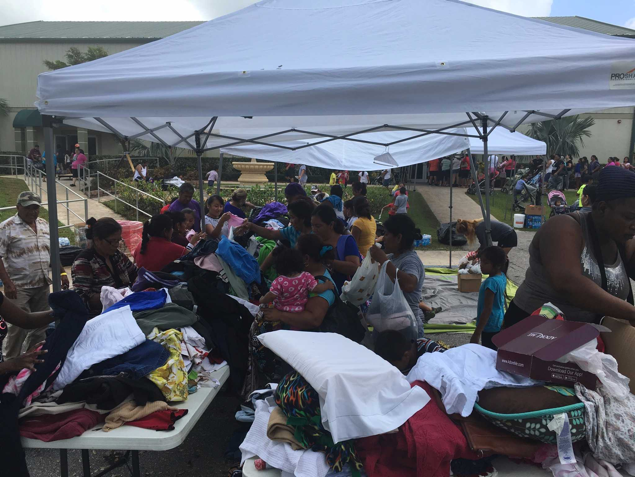 Several of our partner churches stepped up to be distribution sites including First United Methodist Church in Pasadena, Aposento Alto Templo and El Tabernaculo. As a result, we were able to facilitate the support of thousands of families who could not receive help from any other organization. 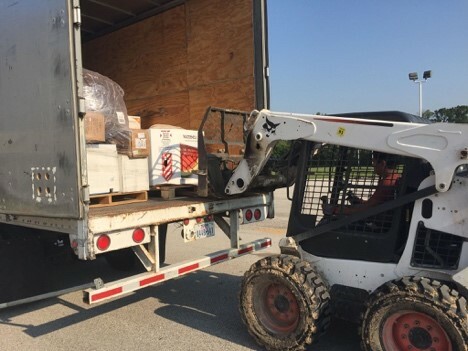 These distributions were only possible because of all the churches, community leaders and volunteers who stepped up to assist during these events. Below is a video of one of Urban Strategies team members, Carla Lafayette, helping organize attendees. 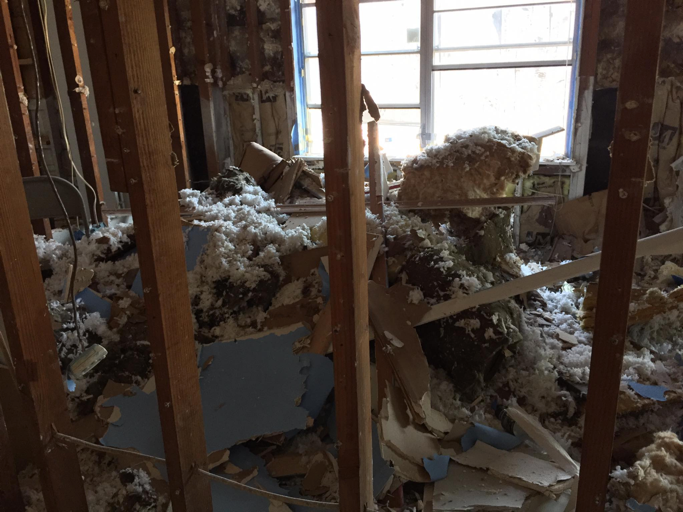 As we have surveyed the need in the area, we know the need has shifted drastically to mold remediation. 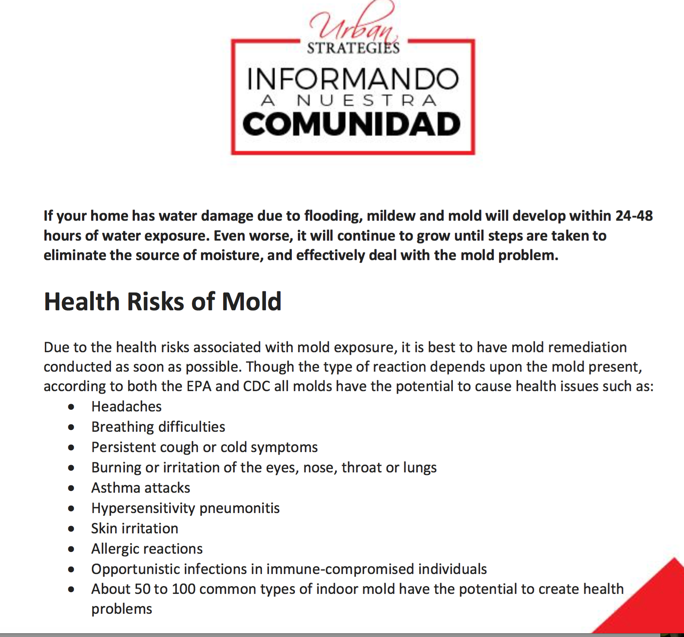 The homes that were flooded need to be almost gutted to ensure that mold does not grow on damp surfaces like wood. 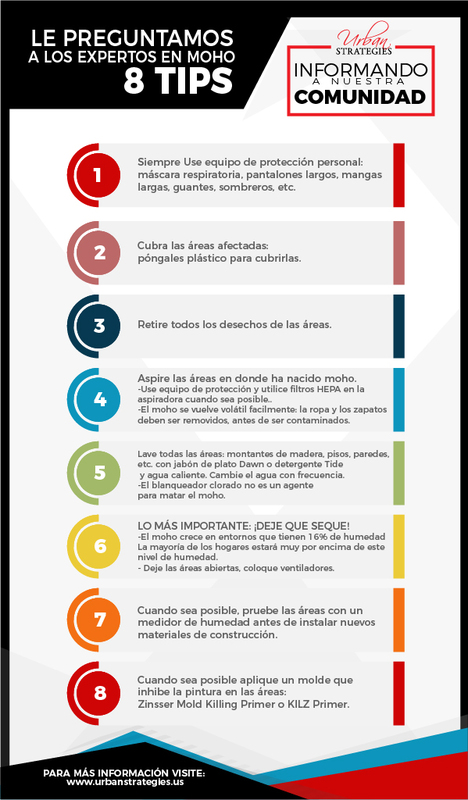 Below is a list of tips to safely remove mold from homes. 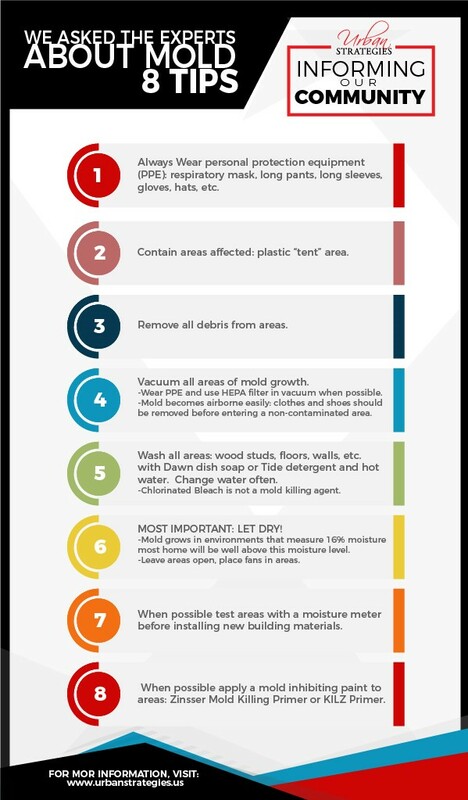 Additional information on mold removal can be found on our website under our resources page. We would greatly appreciate if you could forward to your networks to ensure this vital information can be shared with families that have been impacted.